You know your kids are going to have way too much candy on Halloween, so here's a healthy snack idea for a change. Added bonus: Because kids like the idea of eating this helpless guy's "bones" (ewww!? ), they just may eat more veggies than usual. A healthy snack with entertainment value. A keeper! I found this vegetable skeleton idea on the internet last year, but I'll be darned if I can find it now to give appropriate credit. How adorable...I think I'll have a patella, a humerus, and a few ribs, please! Laura - may I use the photo in a downloadable booklet I'm putting together on green halloween, please? I'm not selling the book - it's a freebie, and of course I'd credit you and include a live link to your blog. Whoa! That looks amazing! I'm gonna tell my wife about this veggie skeleton thing, so that our kids will gonna like eating vegetables now. My wife and I have been struggling and finding ways to make our kids eat healthier food every day. It's kinda hard, but with the help of our doctors and dentists here in Greenville, SC, eventually veggies will gonna be our kids' ultimate favorite. I came across this on Pinterest and am planning on doing this for my 3 year old's preschool Halloween party! I hope it looks just as cute. Thanks for the idea! I'm making this tomorrow! So cute! Hi! I can't find an email to contact you and was hoping i could include this on a round-up for Babble later this week. I would love for you to add this amazing idea to my Halloween Traditions link up! Found your veggie skeleton through Pinterest several weeks ago, and the girls made one today for our science class! Love this idea for a tie in with the human body! TY! This is super cute! Thanks for sharing. I love seeing fun and creative ways to serve things. While trying to find a link to your picture (it's all over Pinterest, but not always linking back to you) I found one on the Kraft website. Maybe that's where you first saw it. One way or the other though... it's SUPER cute! Thanks for sharing! Yes, I remember the picture from the Kraft link! Thank you! And it was most likely the one printed in the Family Fun magazine. Thanks, all. I found your veggie skeleton on Pintrest and thought it would be cool to do with my students. Don't apologize for the waxed paper. It's the funniest part. He looks like he's laying on an exam table and that's the exam paper underneath him! What did you use to make the dip?? I think I may have used Ranch dressing in this photo. Just use your favorite veggie dip. This is hysterical!!!!!!! I"m definately going to use this for my Halloween party! I love it. I posted it with a link back to your blog on my website, www.kidsbookgroup.com. It will post to Facebook as well. How about this. Put red food coloring in the dip. Eat his bones, dip in his blood. Kids(boys) love that. Images is one of the best ways to impress anyone. So what you think about valentines day images? Do you need best valentines day images 2016 for your lover? I think its a great idea to download ans hare such kind of special images. It will increase the value of your wish and surely you will rock in your lover’s heart. Feeling happy. I've never found such an awesome post, thanks for sharing. I enjoyed reading this post it really helps. Great post. I really like the content of this post. Thanks for everything you give to readers in an article please keep posting. Very innovative keep up the good work. Friends celebrate this year’s friendship day with all our friendship cards images and other stuff like quotes, messages that we provide to you here and make it memorable for you and your friend till your life time. Share cards images or whatever you want from our gallery all for free. You can directly download them or share them directly with the options that we have provided. Note 7 will be the first note series phone that comes with IP68 certification for water and dust resistance. It can be under water for 30 minutes up to 1.30 meters. Which lacks in every note series phone till now. It’s a dual boot Mobile Phone. On board storage of 512 GB. Carl Zeiss lens with high image stabilization 4k video capture and front cam with flash. Automated Binary is a scam? While it may sound easy, sometimes single pin spares can be tricky. Some tournaments that have traced spares find that as much as 50% of spares are missed! The key to single pin spares is to be accurate. A straight ball is more accurate than a curve release. 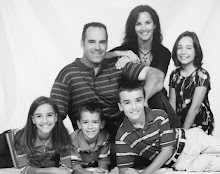 I'm the wife of a wonderful, saintly man, and I am a homeschooling mom of our four children. We strive to have a family-centered, education-focused life by living simply, learning together daily, raising our children faithfully...and laughing frequently! What Food These Morsels Be! Those who know me well know I like to cook. I enjoy tweaking old favorites and coming up with new creations for our kids' ever-changing taste buds! Also, since my husband is both gluten and lactose intolerant, we've tried a number of products that, well, do not measure up to our definition of edible. So, I wanted a place to share some of my finds and recipes. It is a wise cook that knows her own food. But O, how bitter a thing it is to look upon healthiness through another man's bowl. I also find many of our food containers in our playscape area pea gravel!